The Federation employs a small staff team to provide administrative and library support. Magda has worked in Federation libraries since 2000 and is at present part-time. Together with the Federation Librarian, she assists the CTF members and visitors in all aspects of their library use on each of CTF sites. In her other part-time role, Magda works in the Philosophy Faculty Library of Cambridge University and her long term aim is to be able to catalogue her own home library. In her previous career, Magda was a research and teaching assistant at a renowned Agricultural University. Magda is married, and has two adult daughters, and one adult cat. In her spare time, if she finds any, Magda enjoys theatre-going, gardening, reading, cooking and visiting stately homes. 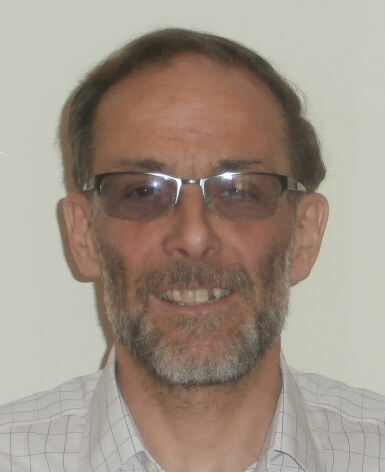 Chris joined the Federation in September 2016 and is responsible for the organisation and running of the CTF libraries and their relationship with the University Library. 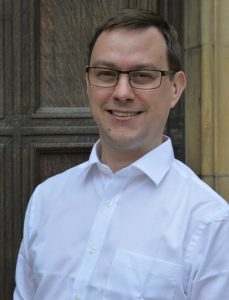 After completing a Ph.D. on the music of Edward Elgar, Chris began his library career at Royal Holloway, University of London, where he was Library Services Manager, prior to moving to Suffolk in 2003 to become the Librarian, then the Director of Collections and Heritage, at the Britten-Pears Foundation. Chris is married with two daughters, a son and a bichon frise and spends most of his spare time helping with the children’s homework. Alastair Oatey is the Federation’s Chief Operating Officer, working alongside Chris and Harriet as part of Bounds House’s senior management team. Alastair is also Wesley House’s Business Director where he has been since August 2015. On the rare occasions on which he can be peeled away from his spreadsheets his natural habitat is on the organ stool at Wesley House or in his home parish church at Harston. 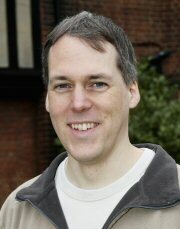 Previously a biochemist, Mat Ridley joined the Federation in 2001 and is responsible for the day-to-day running of many of the Federation’s computer systems. He also works for Wesley House, Westminster College and the Institute for Orthodox Christian Studies. Variety being the spice of life, he spends a lot of his spare time in front of computers too – but he also enjoys watching films, cooking and walking. He has also written a novel. Sally joined the Federation part-time in March 2017 and assists the Chief Operating Officer and the CTF team with general administration. 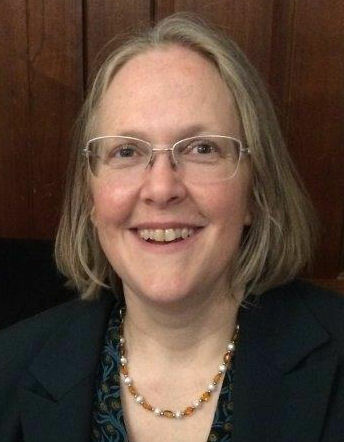 When her 3 (now adult) children were small, she undertook a PGCE in primary teaching at Homerton College and taught in Suffolk and South Cambridgeshire Schools for nearly a decade before embarking on 12 years within NHS administration and management at Addenbrooke’s Hospital. She has 2 young granddaughters living locally, so spare time is short, but she enjoys walking, cycling and the Cambridge Arts Cinema. 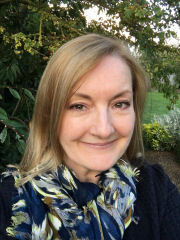 Having been a Headteacher for almost 20 years, Harriet is now enjoying working in Higher Education, where she has noticed that while many of the issues affecting students and staff are remarkably similar to those in a school, there is less focus on getting students to line up quietly and listen! 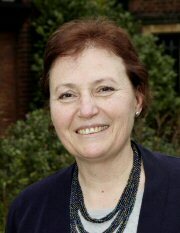 Harriet’s PhD research focused on variation in provision for the mentally ill during the 19th and 20th century, with attention placed on the innovative ‘boarding-out’ policies adopted in several countries. This knowledge has yet to benefit her in her current role. Harriet is married with two teenage children, one of whom needs encouragement to do any revision and the other who needs encouragement to stop studying and relax more! In her spare time she gets great pleasure in visiting and playing with her growing number of nieces and nephews and revisiting the delights of sharing many wonderful books with them. Jenny Thorogood is the Student Support Officer for students taking Anglia Ruskin Univeristy degrees. She is married to Neil, Principal of Westminster College and they have two sons, Samuel and Thomas. Interests include travel, walking, languages and making pots. 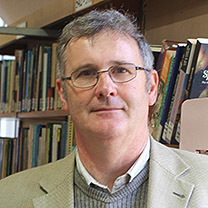 Andrew came to Anglia Ruskin University and the Cambridge Theological Federation from Sarum College in Salisbury, where he coordinated the Centre for Contemporary Spirituality. Prior to that, he set up and ran the Cardiff Centre for Chaplaincy Studies. He is a practical theologian and ethnographer. Andrew’s research interests in chaplaincy have given rise to two complementary areas of research. One has to do with the interaction of religion/spirituality and public policy. The other has to do with the reshaping of religion/spirituality in the contemporary world, including the development of new rituals; and the theological implications of such developments. As well as running the Professional Doctorate in Practical theology, he liaises between Anglia Ruskin University and the Cambridge Theological Federation, in support of their partnership to deliver both research degrees and MAs. Andrew is married and has three children and two grandchildren (some of whom live near Cambridge). He is glad to be back in the Cambridge Theological Federation, having previously worked for the East Anglian Ministerial Training Course (now ERMC). Having grown up in Cumbria, he still escapes to the mountains from time to time. Joe Wilson is the IT Support Assistant, working with Mat Ridley to support the members of the Federation with all their computing needs. Joe is currently studying Computer Science BSc at Anglia Ruskin University and is in his final year. He is currently living with his girlfriend in Cambridge and enjoys playing football, travelling, watching films and reading. Josefin is a University Liaison Officer at the Cambridge Theological Federation. She has a PhD in English literature and spends her free time reading and writing books. Originally from Sweden, Josefin loves ice hockey and remote forests. She is active in her local Baptist church, where she spends a lot of her time arguing that a functioning bell should be installed again. 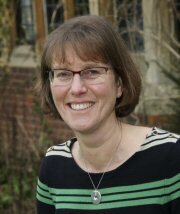 Vanessa Hansen is a University Liaision Officer who works as part of a job share supporting the Durham University Common Awards programmes. Spare time is limited and Vanessa enjoys spending as much time as possible outdoors with her family and walking their Miniature Schnauzer.